Formerly known as Madras, Chennai stands on the Coromandel coast of the Bay of Bengal. This city is regarded as the cultural as well as the administrative centre of Southern India. The city and its suburbs have around 600 Hindu temples amongst which the Parthasarathi Temple is the oldest one. 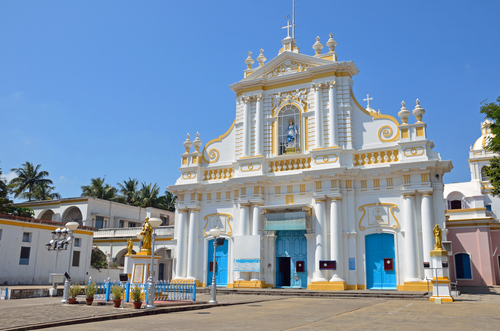 Other places of worship in Chennai comprise St. Mary’s Church, Luz Church, and San Thome Basilica. 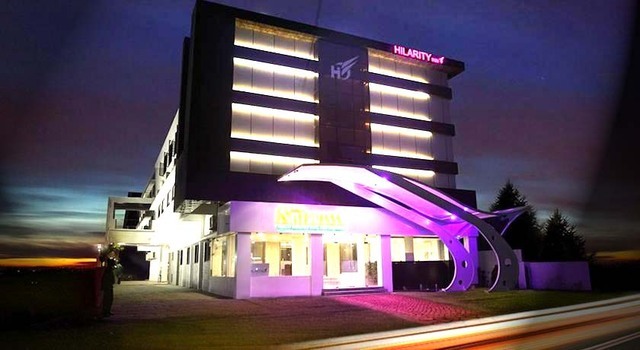 The traditional city of Chennai has also emerged as an important industrial hub of Southern India with the arrival of several technology parks here. From automobiles and fertilizer to iron and cotton textiles, there are numerous industries that can be found here. 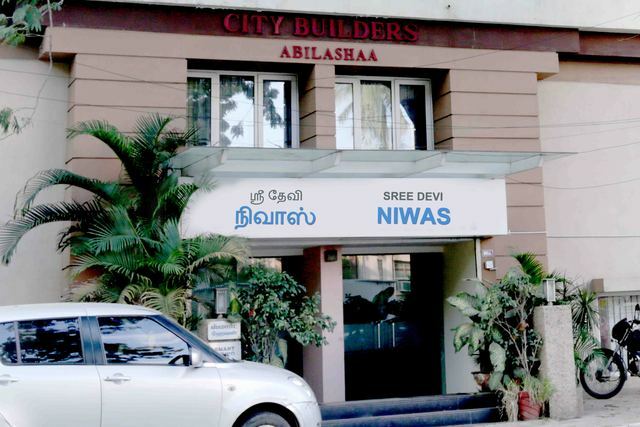 Chennai has also become an important education centre with various engineering and veterinary science colleges. Apart from its educational and industrial importance, Chennai is also a land of beaches. The city is a home to the second largest beach in the entire world, i.e. the Marina Beach. Marina Beach remains flooded with people throughout the year. Tourists as well as natives, visit this place to soak in the charm of the lovely beaches and spend some peaceful time away from the teeming city crowd. The beaches are also lined up with several stalls and eateries where you can grab a quick bite or engage in souvenir shopping. 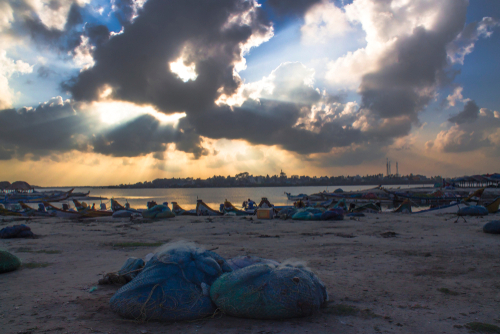 Not just Chennai, but even the neighbouring towns and cities have many sights to be seen. If you are in the city for a longer duration, then you must visit some of these lovely places to visit near Chennai. If a long weekend is around the corner and you want to get away from the city, then you can visit some of these weekend getaways near Chennai and make your holiday a memory to cherish forever. Also known as Pazhaverkadu, Pulicat is a small beach town situated in the Thiruvallur district of Tamil Nadu. This is located at a distance of 60 km from Chennai and has many picturesque landscapes. The town is well known for its tourist spots such as Pulicat Bird Sanctuary and Pulicat Lake. Major Attractions: Pulicat Lake Bird Sanctuary, Fort Geldria, Pulicat Light House, Sri Chengalamma Temple. Popular for its irresistible beaches, turquoise blue waters and historical monuments, Mahabalipuram is a beautiful stop for all the people coming from Chennai. 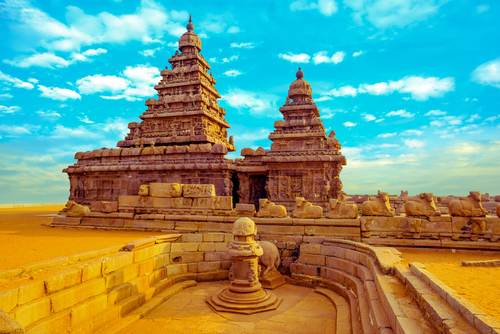 Also named as Mamallapuram, this destination has several streets marked by numerous cafes which serve multiple cuisines. An alluring coastal town near Chennai, Mahabalipuram is also known for its intricate stone carvings and umpteen heritage sites. How to reach there: You can take a direct train from Chennai to the nearest railway station, Chengalpattu. This railway station is just 30 km away from Mahabalipuram and the distance can be easily covered by taxi or bus. 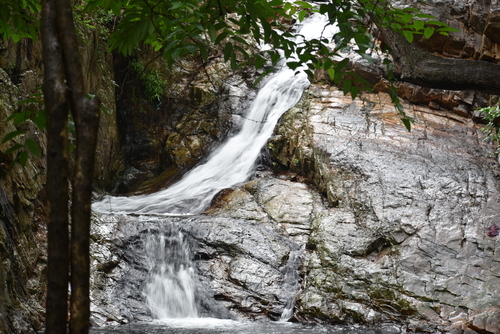 Nagalapuram is a spot popular for its magnificent waterfalls and hiking trails. 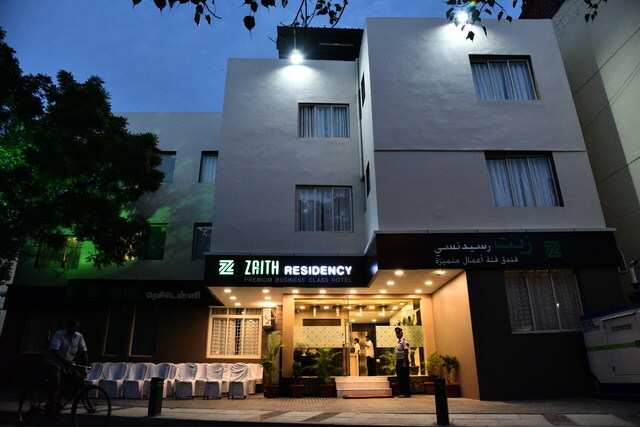 It is situated in close proximity to the Arai village in the Chittoor district. If you are an adventure junkie, this place has a number of activities for you. The trekking trails pass through dense forests and offer the most surreal views. The trek concludes at the picturesque waterfalls and water pools that will leave you mesmerised. How to reach there: These magnificent falls can be reached either by road or train. If you prefer to travel by train, you need to get off at Vegapunts station which is the nearest station to Nagalpuram. 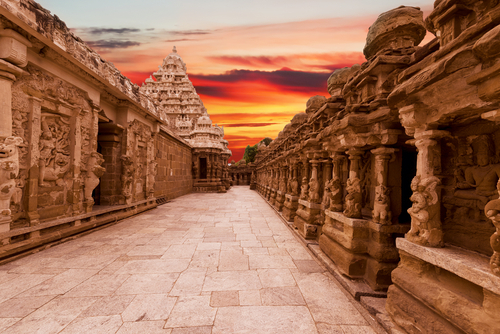 One of the most religious cities in India, Kanchipuram is known as the golden city. It has a large number of temples. The city was also the capital of Pallavas and Vijayanagar rulers. Apart from the prominent temples built by Pallavas, you can also find several Buddhist Stupas here. The city is also known for its joyful festive celebrations, which gives a glimpse of its culture. Some popular festivals celebrated here are Rath festival, Garudothsavam and Brahmotsavam. How to reach there: There are several trains which run from Chennai to Kanchipuram. However, both the cities are well-connected by road and you can cover the distance by a cab or bus too. Known as the sacred land of Lord Muruga, this small hamlet comprises one of the 6 temples dedicated to the Hindu God. 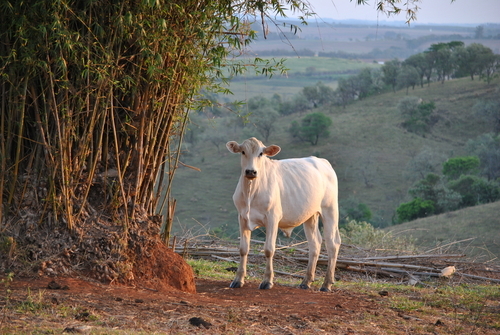 The village is situated in the small district of Tiruvallur in Tamil Nadu. Every year, a large number of devotees flock to this town to offer their prayers in Sri Subrahmanyaswamy Temple. Thiruthani is also known for the beautiful Nandi River which is an ideal getaway spot for the nature lovers. How to reach there: Thiruthani is well-connected by roads. The nearest railway station to this city is Chennai and one can travel till Thiruthani by taxis or buses. One of the ancient pilgrimage sites, Tirupati is situated in the Chittoor district of Andhra Pradesh. Apart from being a prominent pilgrimage site, it also flaunts some beautiful tourist spots that add to the charm of this city. The primary attraction of this city is the Sri Venkateshwara temple, which has an eight feet tall idol of Lord Venkateshwara. 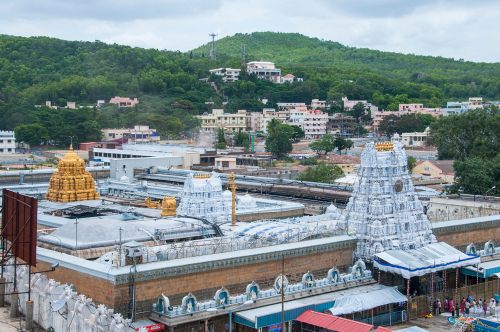 This temple is also known as ‘the Temple of 7 hills’ as it is situated in a small hill town of Tirumala. The city also boasts of a geological wonder spot called Silathoranam. It is a beautiful arch made out of rocks and is perched in the Tirumala Hills. How to reach there: There are many direct trains that connect Chennai to Tirupati. One of the most important tourist destinations in Tamil Nadu, Vellore has a number of pilgrimage sites and historical monuments. 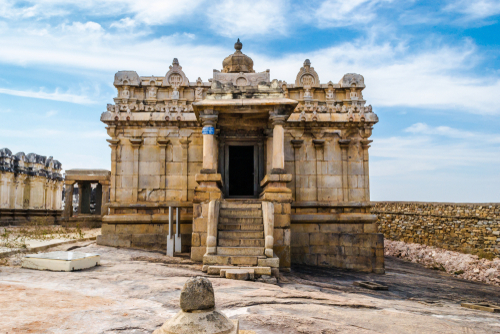 The city was home to dynasties like Cholas, Pallavas and the Vijaynagar kingdom. If you want to get a glimpse of the rich cultural heritage of Tamil Nadu, Vellore is the ideal place to begin. The charming Vellore fort is something which cannot be left out from your travel itinerary. How to reach there: The distance between Vellore and Chennai can be covered by air, rail and also by road. One can board a train from Chennai Central to reach Katpadi Junction and then cover the remaining distance by cab. If you want to make your journey an eventful affair, you can also travel by cab from Chennai. Chandragiri is a small town near Tirupati which is known for its historical fort, which was constructed in the 11th century. 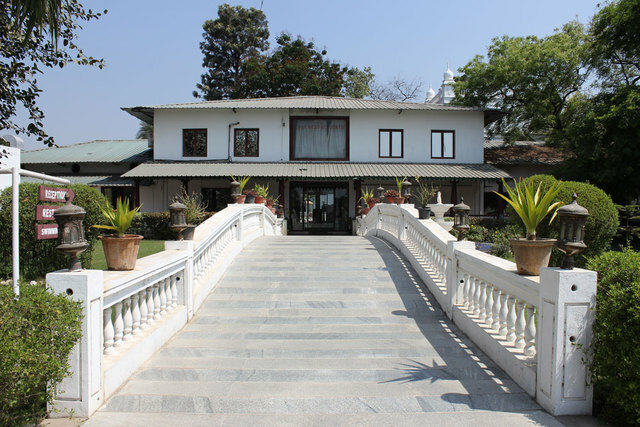 The fort also holds great architectural importance as it represents the Hindu style of architecture. It is made up of brick, mortar, limestone and is another architectural marvel of India. This palace is now an archaeological museum which has a unique collection of stone and metal sculptures. How to reach there: There are no direct flights, trains or buses from Chennai to Chandragiri. The ideal way to travel from Chennai to Chandragiri is by taxi. Fondly known as the French Riviera of the East, Pondicherry is the most alluring spot in South India. This small union territory is cradled on the coastline of India and forms an ideal getaway for those looking for peace and nature lovers. An old French colony, Pondicherry has beautifully retained its ancient charm beautifully. A walk down the city will give you a glimpse of French culture and tradition. How to reach there: You can reach Pondicherry from Chennai by bus, train or cab. One of the most developed cities in Andhra Pradesh, Nellore has several temples and is also regarded as a prominent agricultural centre. The city is perched on the banks of the River Penna and grows a huge variety of crops. One of the major attractions in the city is the Sri Ranganathswamy Temple which is around 600 years old. 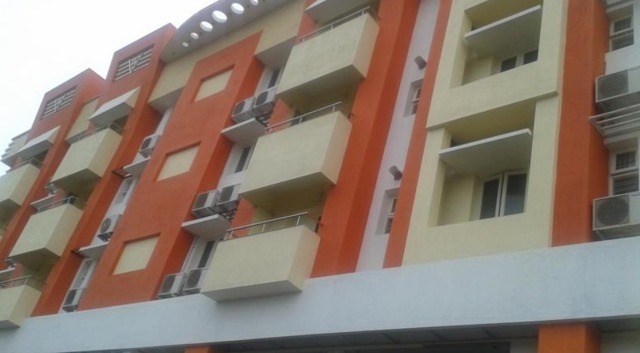 Nellore lies in close proximity to many natural retreats including Pulicat Lake and Mypadu Beach. It is also close to the popular Nelapattu Bird Sanctuary, which is known for a variety of exotic birds species. How to reach there: Visitors can avail prepaid taxi services from Chennai airport. One can also travel by private luxury buses. Major Attractions: Sri RajaRajeswai Ammavari Devasthanam, Children’s Park, Vedagiri Lakshmi Narsimha Swamy Temple. 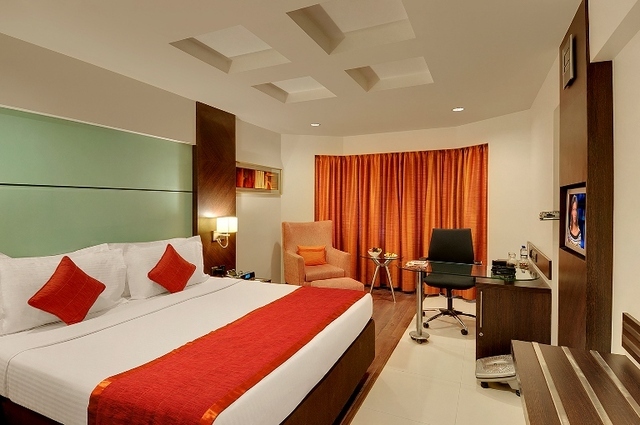 With tourist spots, such as Marina Beach, VGP Golden Beach resort, and Kapeeleshwar temple, Chennai forms an ideal getaway for people of all ages. If it has multiple beaches for facilitating adventure sports, it also has umpteen temples for spirituality seekers. Being the 4th largest city in the country, it also has enough places for youngsters to chill out. 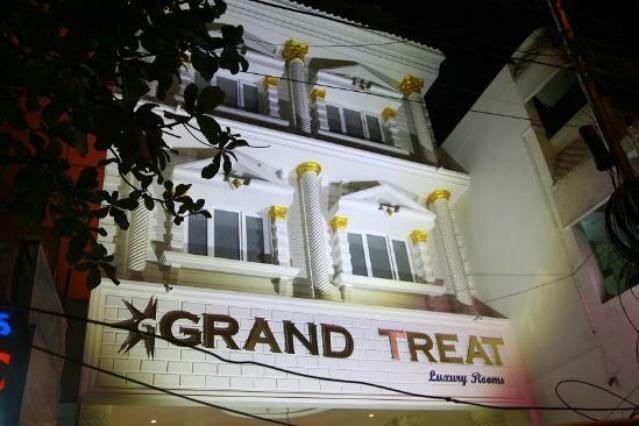 So, if you wish to explore the rich South Indian culture, you can’t miss out on these popular weekend getaways from Chennai. With places such as Pulicat, Mahabalipuram, Nagalapuram and Thiruthani, there are a number of places to visit within 100 km from Chennai. 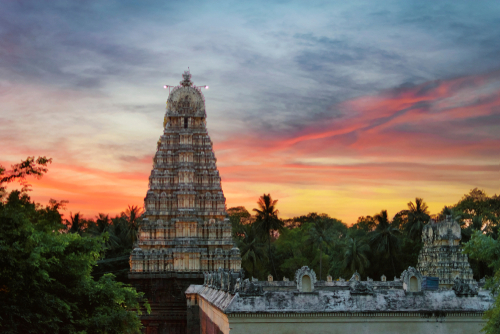 If you are a spiritual seeker, then you should Visit Kanchipuram. 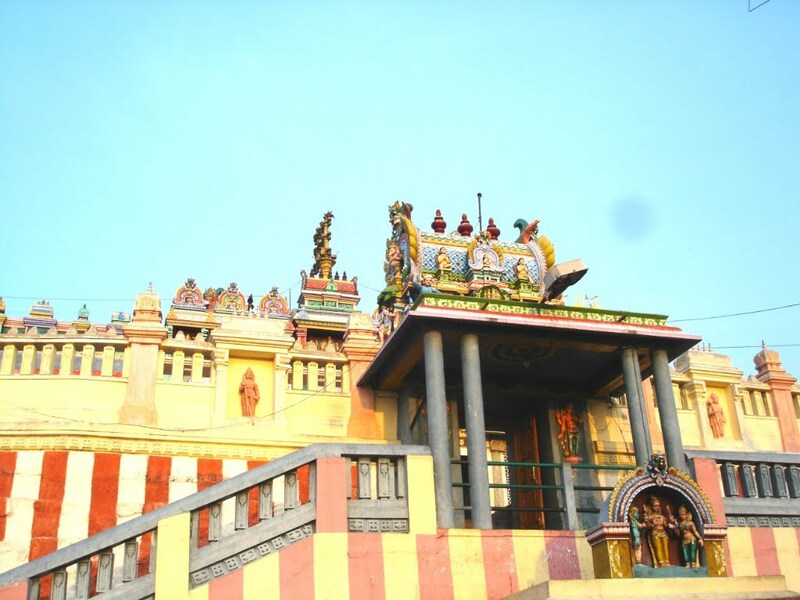 Kanchipuram is just 75 km from Chennai and forms a popular pilgrimage site in Tamil Nadu. Most of these places are very close to Chennai and you can easily go on a road trip to any of these lovely places. Be it an adventure, sightseeing or wildlife, there is no dearth of weekend places you can visit from Chennai to make your trip to the Southern part of the country even more exciting. 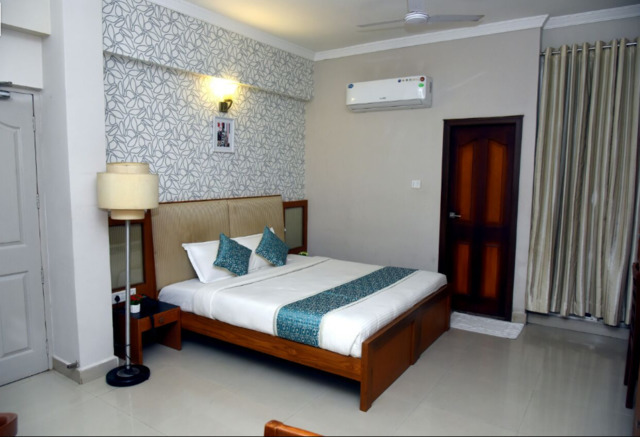 Chennai is truly a hub of worthy destinations that will rejuvenate your soul, and if you are ready to travel some longer distances, you can discover the most beautiful places to visit within 200 km from Chennai. 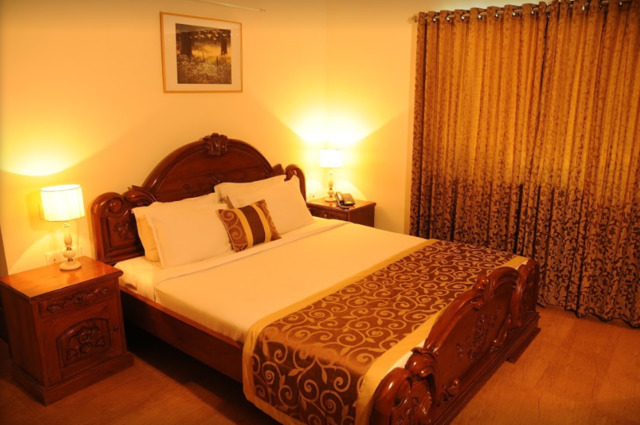 Some of the most prominent spots near Chennai include Chandragiri and Vellore. Tirupati is another famous pilgrimage destination, which people from all over the world like to visit. Chennai is 130 km away from Tirupati and a train journey will take just 3 hours to cover this distance. Vellore and Pondicherry are other destinations, which you can visit from Chennai and are looking for a weekend getaway spot. 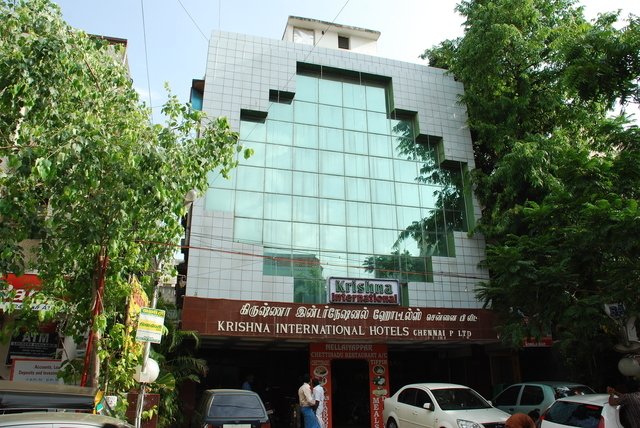 With a perfect blend of religion and modernity, Chennai attracts people of all the age groups. The city has everything that can leave visitors in awe. Not just Chennai but the neighbouring towns and cities are places which are waiting to explored by tourists. Hence, if you get a chance to travel to Tamil Nandu, don’t forget to explore the above-mentioned weekend getaways from Chennai.